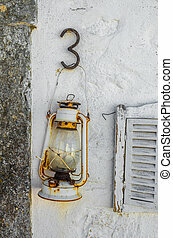 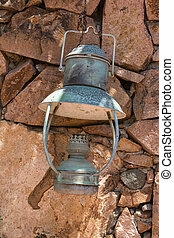 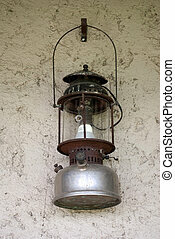 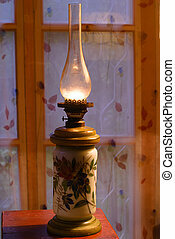 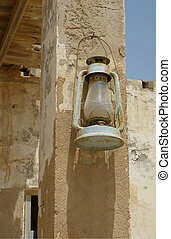 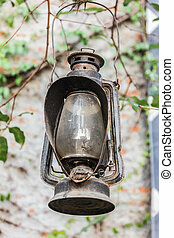 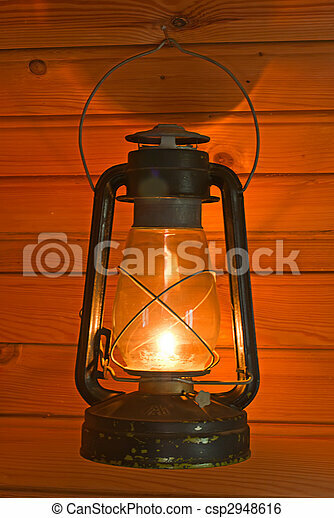 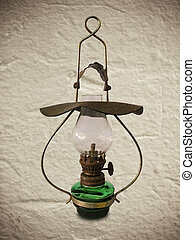 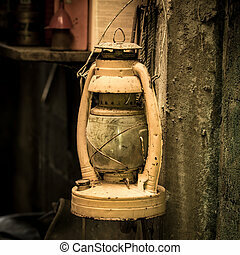 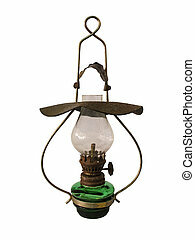 old antique oil lantern on woode wall. 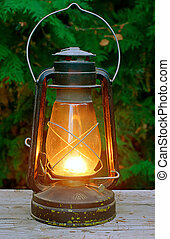 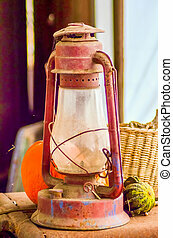 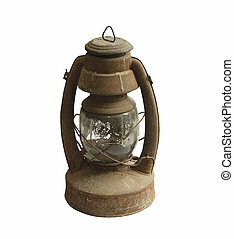 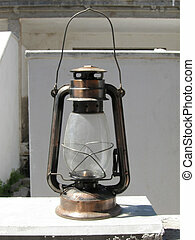 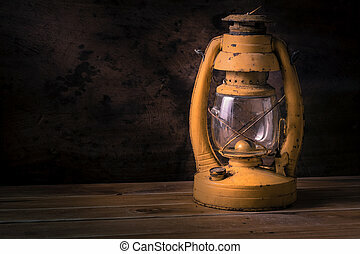 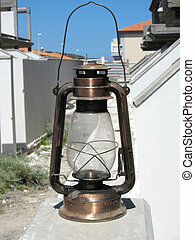 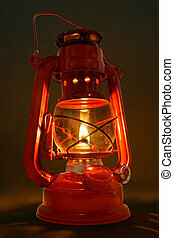 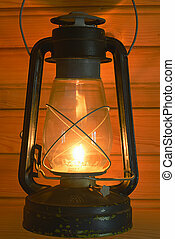 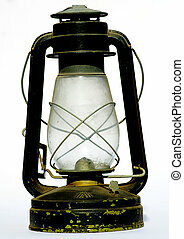 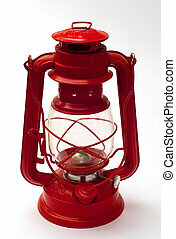 This is a lit old kerosene lantern. 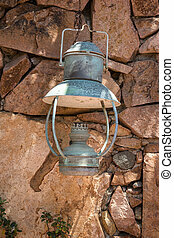 old oil lantern in the garden.